Yoga, the famous and effective form of health regime, ensures fitness and perfect health not only to the body but also to the mind. People around the world are practicing this form from hundreds of years and now they understand the importance of yoga. Every nook and corner of the world is familiarized with this form of physical and mental exercise routine. Yoga helps in strengthening a person by working on the basic structure of body. This helps the person to feel strong from the core. People who follow yoga regularly does not feel tired of spreading its advantages as it helps them with increased flexibility, mental ability to handle stress, muscle building and toning and natural loss of weight. Yoga even helps people to have a better and sound sleep. People even practice yoga for maintaining a good posture while standing, walking, sitting etc. Yoga ensures that all the organs of your body like heart, lungs, kidneys, pancreas, spinal cord, stomach, intestines, various glands etc are in working state. It can be seen as a method of preventing ailments and disorders like diabetes, breathing problems, hyper tension, high or low blood pressure, cancer, joint pains, arthritis, spondilitis etc. Yoga makes sure that your energy to do daily tasks is boosted and your concentration level is very high while doing any kind of work. Practicing yoga will help you to relax and unwind your body, get rid of anxiety, physical and mental stress, nervousness etc. by boosting your confidence level. Yoga is considered to be the best form of exercise over other forms like aerobics, gymnastics, games, swimming, dance and athletics as it does not require costly equipments, playgrounds, pools, gyms etc. All you need is a silent space and a clean mattress. 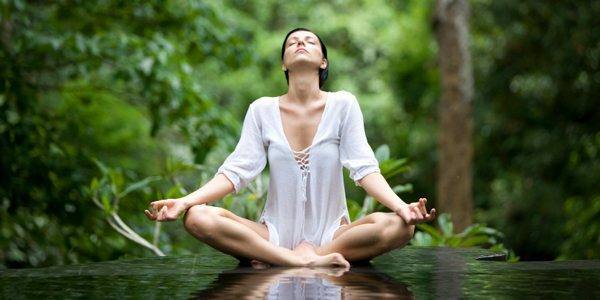 You can perform yoga alone or in a group within your house or in open spaces like park. Yoga is not limited only to the rich or literate people but also to the poor and illiterate people. It is not bound to any particular religion. Any person following any religion is free to learn it. Moreover, age has nothing to do with practicing yoga. All you have to do this is to learn the perfect art of performing it while controlling your breath. This can be done under a skilled trainer at the beginner’s level and once you master all the techniques then you can even do it by yourself. So, in short we can say that there is no better option than yoga to keep you fit and healthy as it comes with many benefits as mentioned above. There are no constraints to yoga. So, anyone can master this art of exercise and keep himself/herself free from any disorders. But the thing to keep in mind is that you consult your doctor before starting it and middle aged or older people should practice it under some supervision. About the author: Amanda Kidd is a blogger who takes an utmost care while choosing her stuff. Being a health conscious girl she prefers to own only home remedies for her treatment and skin care. Whenever she is on a look out for some really cool and funky outfit to wear, an eco friendly dress is always her top priority. In spite of this she believes a lot in waste recycling.